1982 Champagne De Venoge Cuvée des Princes brut is a blend of three grape varieties: Chardonnay, Pinot Noir and Pinot Blanc. 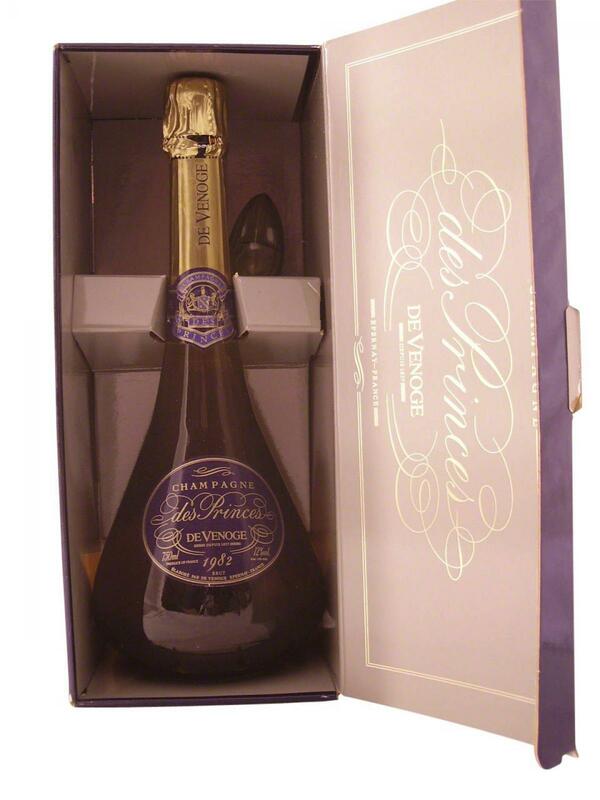 1982 Champagne des Princes de Venoge shows a beautiful golden colour with myriads of fine mineral bubbles. On the nose as on the palate, 1982 Champagne De Venoge Cuvée des Princes reveals a great aromatic richness, with aromas of fruits such as raisins, figs and toasted apricots, as well as gourmand notes of coffee and honey. Rich and powerful, 1982 Champagne des Princes de Venoge brut will leave an unforgettable memory to lovers of great champagnes.